Green tea can indeed help you sleep at night despite being caffeinated. It’s got loads of good things in it that help with sleep and it’s damn relaxing to boot. So a warm mug of it before bed could be the solution you’ve been looking for, unless that is you are very caffeine sensitive, I’m fairly sensitive to caffeine so feel you pain if you are! Green tea does have caffeine in it but a study was done to compare caffeine in different drink and it found the following per 225ml serving. The amount of caffeine depends on the brand, stew time and stuff like that but as long as you’re not stewing your green tea for hours about you’ll get about 40 mg of caffeine in a mug which isn’t much more than a can of coke. Will this affect your sleep? Besides look how soothing the mug below is! Does the thought of drinking that not just totally relax you? Ultimately though if you’re not caffeine sensitive you should be fine and will have a whole range of teas to choose from but why not experiment a bit? Try a mug of green tea before bed one night and then a nice chamomile the next night. 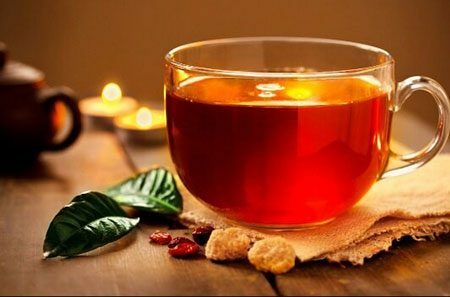 If you are caffeine sensitive than you want a herbal tea, they are absolutely caffeine free and so fine for drinking before bed. You can have a cup of your favourite tea with reduced caffeine by filling a mug with hot water, dunking the tea bag a few times then tipping it out. Then refill the mug with boiling water and stew as normal. The most caffeine gets released in that initial exposure to the water. Surely It Can’t All Be About The Caffeine, What Else Is There? You are absolutely right dear reader! There are a few different vitamins and minerals at play when you have a steaming mug of green tea. The amounts are small but I don’t like to rule them out when it comes to sleep because ultimately every little helps. Ah yes magnesium, because no one wants to eat a load of spinach before bed green tea is a much more delicious way to get a magnesium boost before bed. Magnesium helps produce melatonin which is the sleep hormone, it travels around the body at night time telling you it’s time to fall asleep. An absolute essential for falling asleep. L-Theanine is an amino acid found in tea leaves that has a whole load of health benefits the main one’s being lowered stress and promoted relaxation. And guess what lowered stress and being relaxed helps with? You guessed it, falling asleep! Those are the two main sleep-related minerals but you also get a big vitamin boost and lots of other great minerals that are nothing but good for you. Eating before bed isn’t normally a good idea (unless you’re ravenous) because while your body digests it keeps you awake because you’re getting all this energy released. Which is where green tea comes in. Green tea creates a couple of different hormones in your stomach that travel to the brain and tell it you’ve had enough food you don’t need any more. So if you have it an hour before bed you can put of snacking and go to bed feeling comfortable instead of lying awake thinking about food or feeling full. Try some raw honey if you tend to wake up hungry through the night, it digests nice and slowly and doesn’t release to much energy so you’re kept awake. Just the right amount to keep you satisfied through the night. It depends what benefit you’re hoping for from it. If you’re drinking green tea to stop you getting hungry then 2 hours before bed is the ideal. 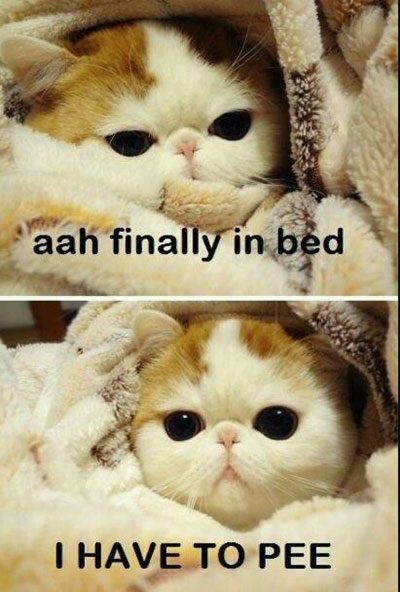 But if you like to have that warm feeling all the way to bed you can have it immediately before you go to sleep. So anywhere from 0-2 hours before bed, just experiment and see what works for you. What Else Can Green Tea Do? Loooads of things, it’s such a healthy drink. The NHS put together a good guide looking at actual studies of the benefits of green tea. As it turns out there’s no clinical evidence that green tea will help prevent cancer or help with weight loss but there is a case for it in some other areas. A study was done that found that green tea can indeed lower cholesterol though it alone may not have enough benefit to prevent heart disease or strokes. But again every little helps right? Promising results have been found of an initial trial run but human tests haven’t been conducted yet. Apparently using a green tea mouthwash is just as effective as an antibacterial mouthwash. Pretty cool! Using it as a mouthwash isn’t quite the same as drinking it but I’ll take it as a win. Again a modest reduction was found in people with high blood pressure who drank green tea, but again it’s unclear if it will make a significant difference. So what’s the catch right? Well the NHS say green tea is safe to drink, and if they say it then I’m inclined to believe it’s true. The only dangers are from the caffeine present, if you’re drinking huge quantities of it then you can get all the caffeine side effects, headaches, an upset stomach that sort of thing, but I’m talking 10+ cups a day. Aside from that if you have a medical condition and have been advised by your doctor to avoid caffeine then yes you want to give green tea a miss all together. Try a herbal tea instead.